Hi everyone! Robbie here. Hope that you all had a great Thanksgiving! Our family had a wonderful holiday and are now gearing up for Christmas. 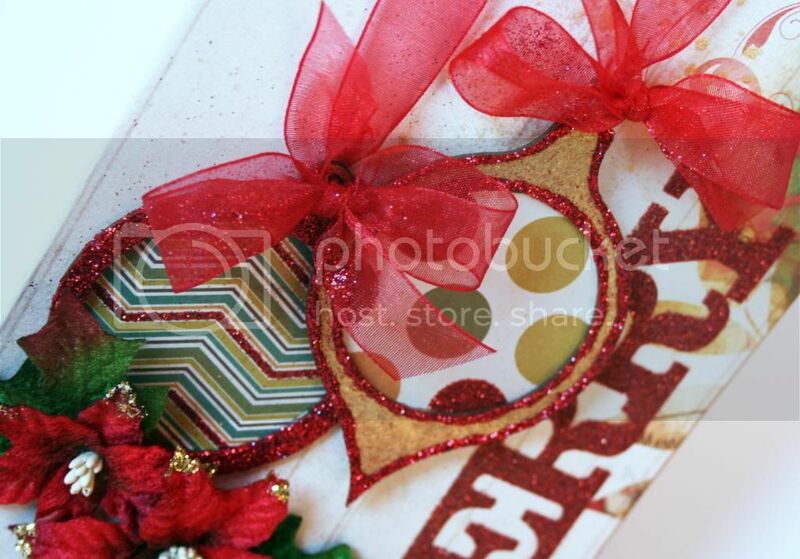 For today's post, I used the Leaky Shed Studio Christmas Ornaments. 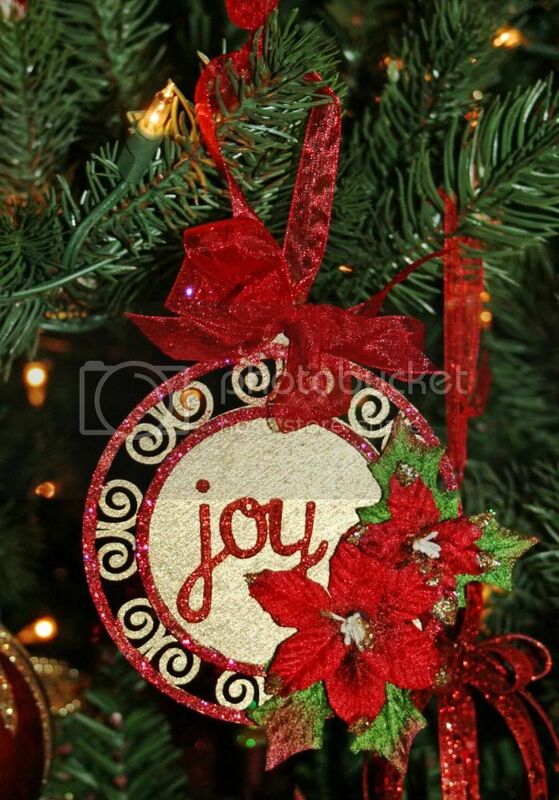 This is a terrific group of ornaments that is so pretty already, so designing with them was super quick and easy! This ornament was super easy. I started by giving it a couple of sprays of Heidi Swapp Gold Color Shine. I then added glitter to the edge and to the separate circle piece in the middle. 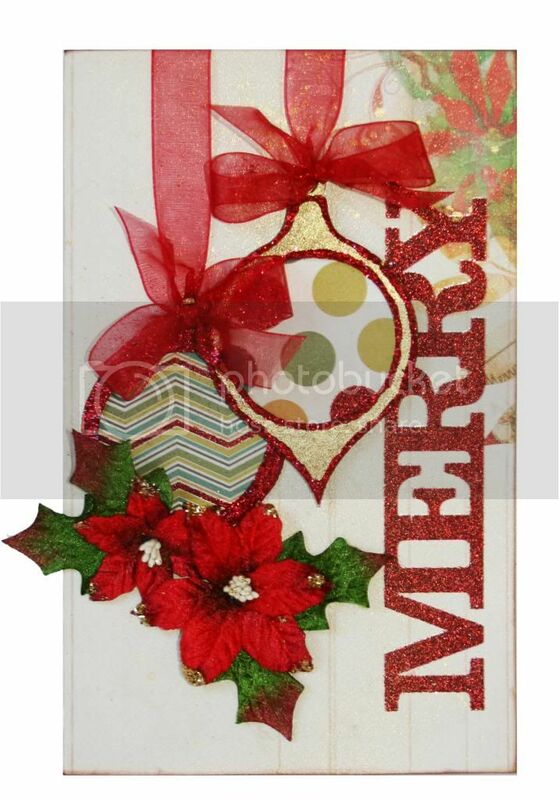 The flowers and letters are already glittered, so it took nothing more than gluing them to the project. Tie a bow and a hanger to the top and your are good to go! I also made a card with two more of the ornaments. 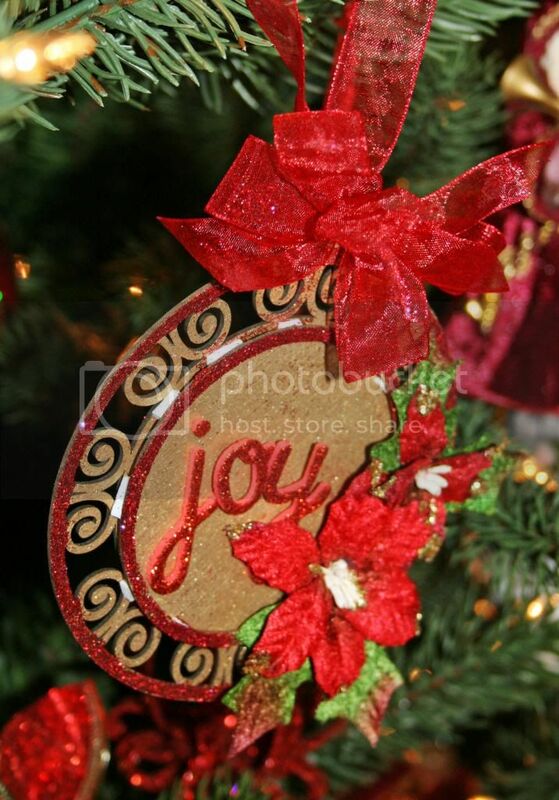 I repeated the basic idea from the ornament for the tree on these. A couple of sprays of mist and glitter accents. For the centers, I used a 2" punch to make circles of paper. This My Mind's Eye paper is already glittered, so all you have to do is glue it to the back. Tip: If you haven't ever tried it, let me recommend the Art Glitter Glue. It lays down a fine line, dries quickly and is so much easier to use than school glue. 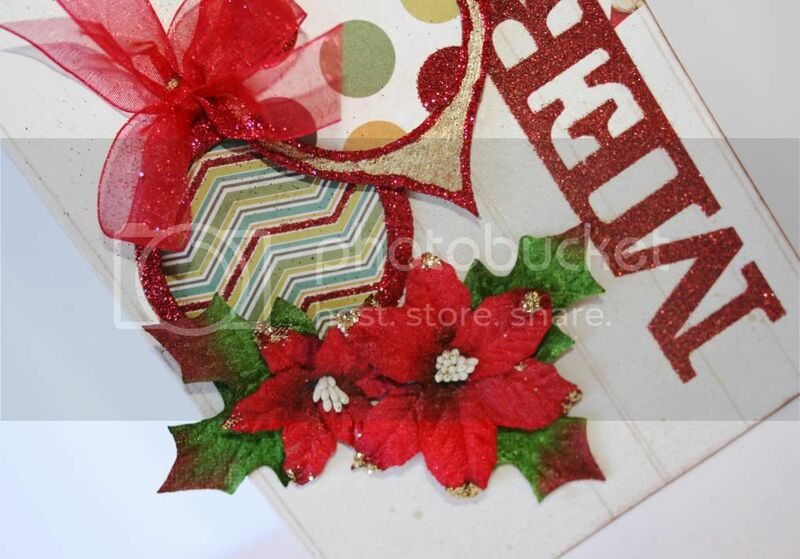 Again, use foam to layer the chipboard, glue down the flowers and tie bows for this quick and easy card. One more confession, since I'm owning my mess today... Notice the glitter on the bows. Weeelllll...I had glue on my fingers and got it on one of the ribbons. Of course, that meant I got glitter on it, too. Guess what? I liked it a lot, so I added it to the other ribbons, too! Mistakes aren't always a problem! 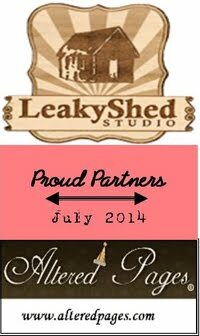 Don't forget to check out Leaky Shed Studio on Facebook, too! Wow wow wowwwwwww! These are gorgeous!! LOVING all the glitter!!!! I love these!!! I think they would make great gifts and thank you for that tip!